Can there really be such a thing as an undiscovered property strategy? Commercial Conversions have been popular for some time now, with lots of developers pursuing an ever-decreasing number of conversion opportunities. But is there a golden opportunity hiding in plain sight that they’re all missing? 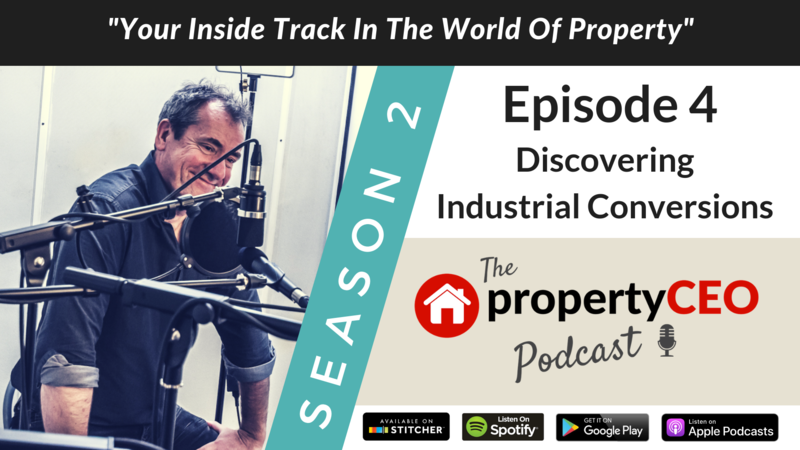 In this episode propertyCEO’s Ritchie Clapson gives us the low down on the little-known strategy of Industrial Conversions, which many people are now starting to talk about; and one that can make some serious returns – providing you know what you’re doing. And as if this wasn’t enough, the team also rather unexpectedly discover the perfect cat repellent for buy to let properties. So, something for everybody then.